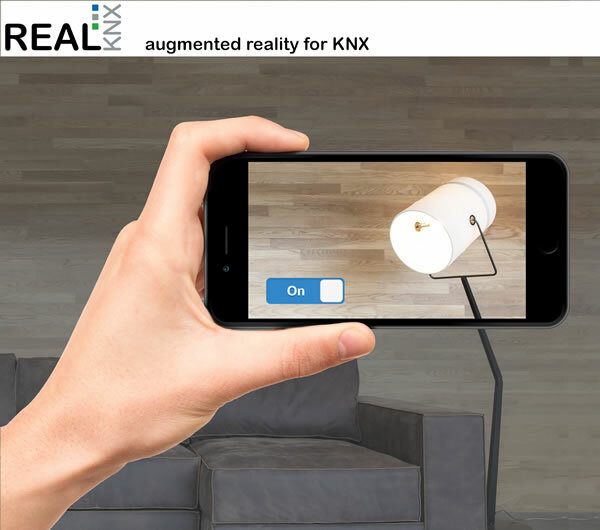 - You launch the “realKNX” app on your smartphone and what you see is the camera picture. - Point it at the lamp and directly in the picture the button to switch the device appears. Augmented reality allows recognition of objects that have been taught by scanning them with the smartphone. An object may be a lamp, a window/shutter/curtain, the outlet of a climate system, a speaker or even the pool in the garden. Using our realKNX designer, it is possible to assign these real objects to any KNX function of your installation. That’s it! As soon as an object is recognised with the realKNX app, the relevant information will be visible and the slider/button/text/value will be visible directly in the camera picture. Interaction is possible and the feedback is immediate. Come and see this stunning functionality: The world’s first application to control KNX through the camera will be shown at Stand: 12-C92 at ISE 2016.